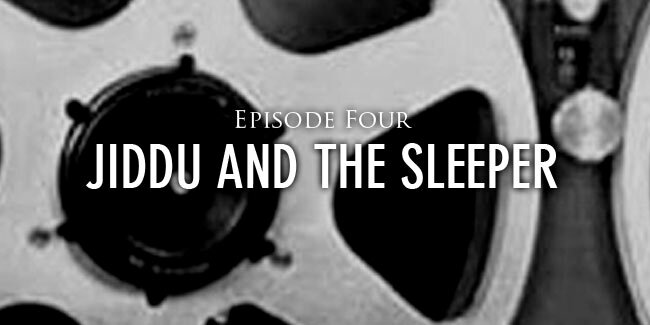 Not only are the reels which I have been collecting for two decades strange and filled with mysterious recordings but this podcast has now become a very engaged part of the weirdness which surrounds itself. Ever since I was a teenager I have quested to find a long lost Michigan tourist trap called Mystery Ridge. I collected vintage postcard, bumper stickers and flyers from Mystery Ridge and hoped one day to visit the place although I knew in my heart it was probably long gone. Mystery Ridge contained the usual tilted house and strange phenomena mostly associated with the more well known Mystery Spots which can be found across America. Mystery Ridge came into existence in the early 1960’s when America was overrun with roadside attractions but as the years rolled by cars ceased to roll into the parking lot and Mystery Ridge shut its doors in 1982. Years ago I did indeed discover the location of long abandon property which once was home to Mystery Ridge and unfortunately most of it was destroyed. Fast forward to this year. 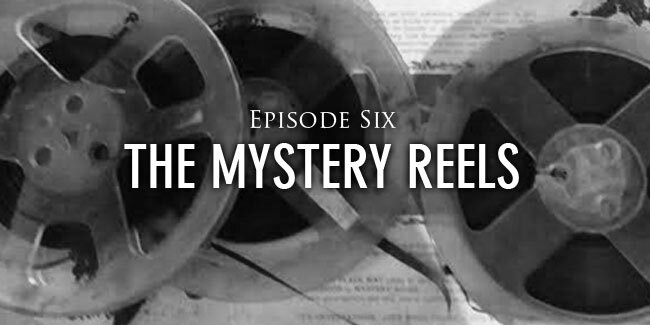 I finally decide to release a new podcast which focuses on my collection of reel to reel tapes and their weird recordings; during a bizarre series of family events I have received two reels which are marked “Mystery Ridge”. 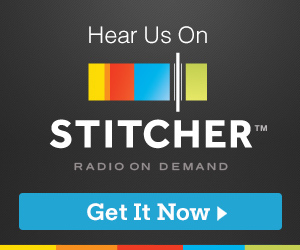 The synchronicity of these events is just one more reason why I will continue to produce this podcast. Now for your pleasure enjoy a short but sweet episode and perhaps a quick visit to the past and a place called Mystery Ridge. Let my descent into madness begin. The mysteries surrounding these recordings continues but it seems we are starting to gain ground on figuring out some of the component parts. In this week’s episode we are presented with the long-winded, sometimes rambling explanation of what the speaker calls the “parts of man.” From the molecule to the gonad it seems as if all of experienced reality is explained in a way that explains nothing at all. 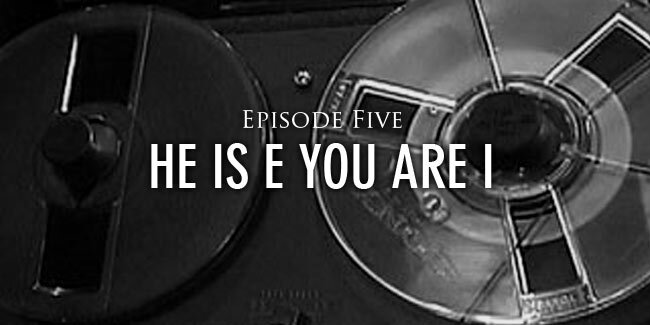 Yet, upon listening to this recording we find the speaker mentioning a representation of “God” which is referenced as “E”; this in turn takes us back to the mysteries presented in Episode 3 “He Knows All About You” where we find the words “He” and “E” being used interchangeably. The only markings on the reel is a piece of masking tape with reads, December 4th 1952 and it just so happens that in 1952 is a significant date to answer some of the mysteries we’ve been wondering about. Also made more interesting are the recordings of channeling sessions found in Reel Lost Episodes 1 and 2 which were made in Arizona and this too perhaps helps to answer, or perhaps deepen, some of the questions which have been asked by listeners. These reels are long and winding but perhaps some answers are coming forth. In my comments after the recordings I reveal the startling facts about what you will have just listen to in this episode. These recordings are getting stranger and stranger. This week’s reel contains the shortest recording so far. Although these reels can hold up to two hours of information this specific tape has only about eight minutes of recorded sounds. This content starts after about 15 minutes of silence and seems to speed straight into, what I believe, is a recording of the Indian philosopher, author and speaker Jiddu Krishnamurti. The recording level of this portion is so distorted it took me repeated playings to figure out what was being said; I assume, and do not fault, most of the people who will skip over this part although it’s only two minutes long. Then there is an abrupt cut into what seems to be a woman talking to someone who is sleeping. It’s weird… real weird… and it ends in a somewhat terrifying manner and it comes out of nowhere so quickly that upon my first listening I dumped my coffee on myself. The remaining fifteen minutes of the reel are void of any other recordings. Again, I have no idea what this is, but it’s pretty strange. Key times in this podcast are as follows. If you want to skip over the Krishnamurti lecture then go to 7 minutes, 13 seconds. If you want to prepare for the ending of the recording start preparing for the sudden increase of volume at 12 minutes, 46 seconds.